Merry Christmas and Happy New Year! Snowmen are a happy addition to your home décor – I enjoy them for long after the Christmas ornaments are put away, throughout January and for a few more winter months beyond! 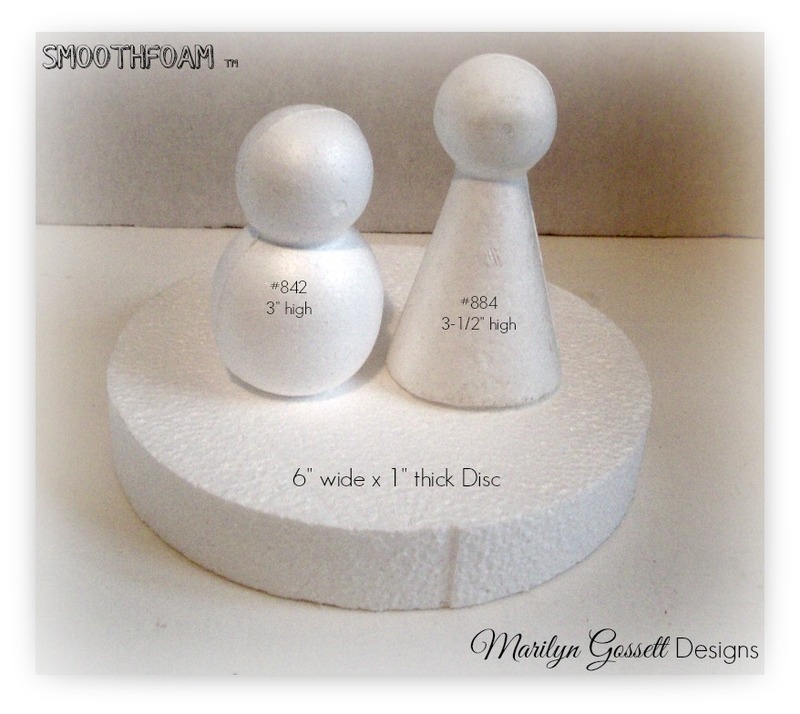 Mr. & Mrs. Snowman are the perfect pair to leave out during the chilly months ahead. Using a skewer for a handle, poke into the bottom end of each snowman and paint cream. Allow both to dry. To make each face, use a toothpick to paint black dip-dots for the eyes, mouth and buttons. Paint the pointed end of one skewer or toothpick terra cotta. Cut off 1″ up from the pointed end. Poke a hole in the middle of each snowman’s face using the point of a wooden skewer. Remove and glue the carrot nose into the hole. Add blush to their cheeks with your fingertip. 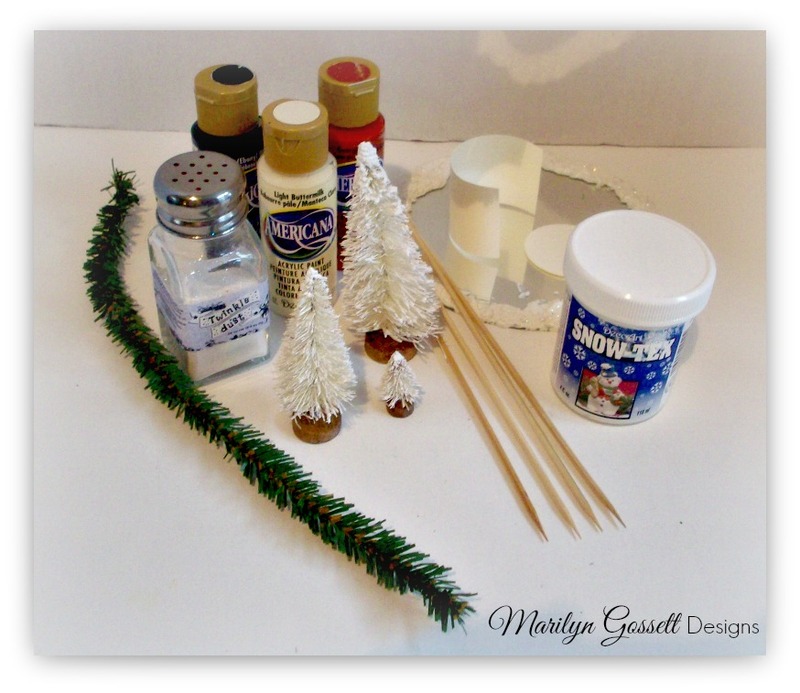 Coat each snowman with glitter medium – sprinkle on more clear glitter while it’s wet, then let dry. To make the snowman’s hat: Punch a 1-3/4″ circle for the brim. Cut a 1-1/4″ x 4″ rectangle and roll it into a 1″ cylinder. Apply glue to the bottom edges of the cylinder and adhere to the middle of the circle. Wrap gold tinsel around the crown, twist and trim to secure. Glue the hat to the snowman’s head. Embellish the snow lady with clips of the tinsel stems as shown. Wrap a length of washi tape around the sides of the Smoothfoam disc. Brush Snow-Tex medium to the top edges of the mirror. Sprinkle with glitter; let dry. Glue the mirror to the top of the disc. 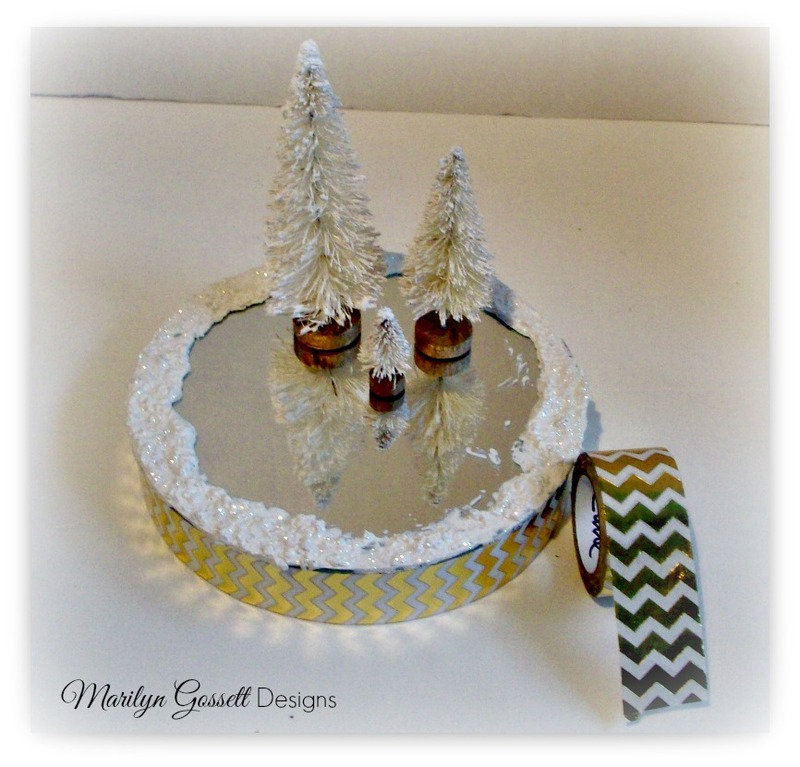 Glue the snowmen and trees to the mirror as shown. Happy Holidays! May you thrive and prosper in the New Year! 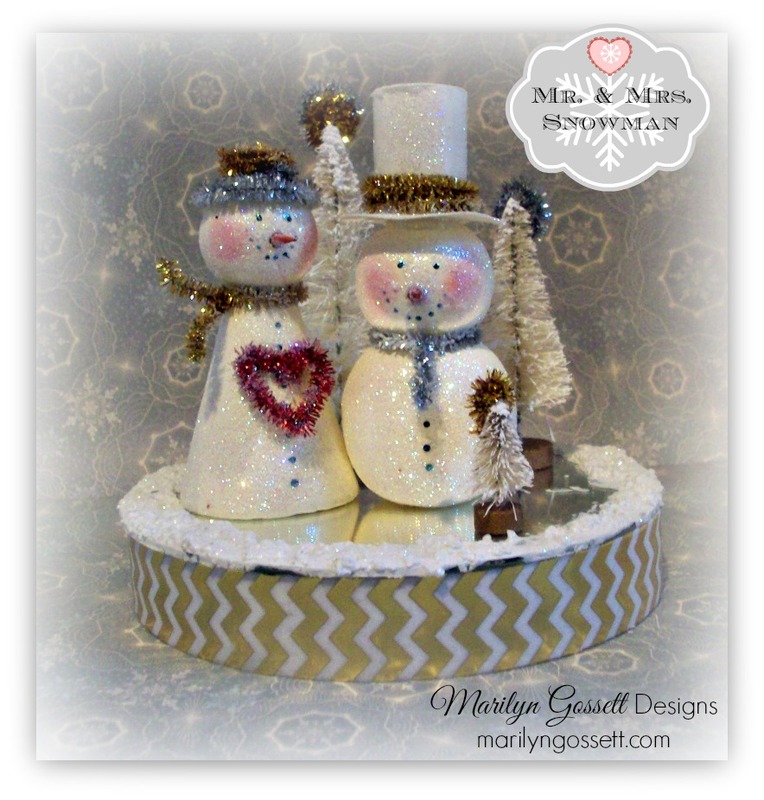 This entry was posted in Holiday Crafts and tagged Christmas, Display, Snowman, White, Winter by Marilyn Gossett. Bookmark the permalink.